The past two decades have seen increasing recognition of the importance of behavioral and social factors in the prevention and treatment of disability and disease. 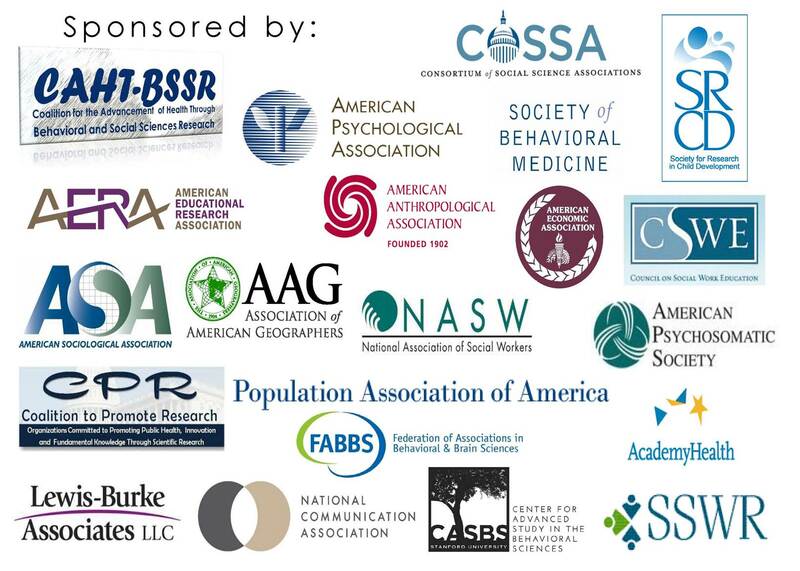 OBSSR’s mission is to stimulate behavioral and social sciences research throughout NIH and to integrate these areas of research more fully into the NIH health research enterprise, thereby improving our understanding, treatment, and prevention of disease. 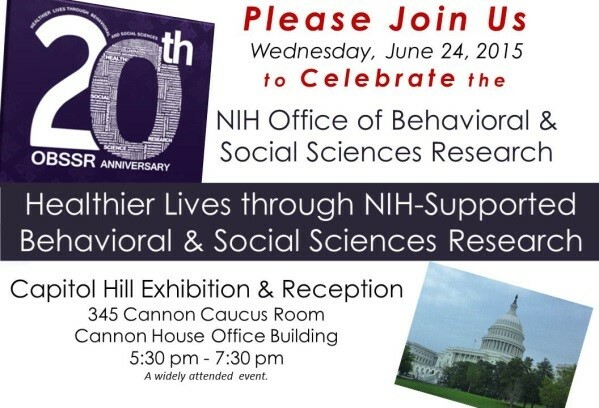 Please join the Coalition for the Advancement of Health through Behavioral and Social Sciences Research (CAHT-BSSR) to celebrate the 20th Anniversary of the NIH Office of Behavioral and Social Sciences Research with a poster exhibition and reception featuring research supported by NIH institutes, centers, and offices. RSVP here or via http://goo.gl/forms/FhfiqCzCuk. Office of Disease Prevention (ODP).